Silver Dolphin Books, 9781684126057, 40pp. Learn about the human body—from head to toe! Take a trip inside the human body and discover the amazing systems that allow us to move, breathe, and speak. Adventures in Science: The Human Body is the perfect primer for learning about how the human body works. 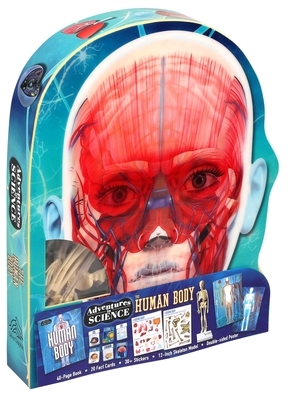 After reading the included book, children can assemble their own 12-inch plastic skeleton, use the 30+ stickers to put the organs and bones in the proper places on the double-sided poster, and test their knowledge with the included 20 fact cards.